The Film Theory in Practice Series fills a gaping hole in the world of film theory. By marrying the explanation of film theory with interpretation of a film, the volumes provide discrete examples of how film theory can serve as the basis for textual analysis. 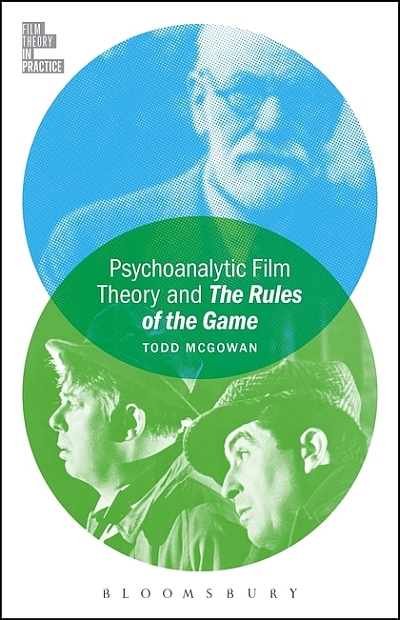 The first book in the series, Psychoanalysis and The Rules of the Game, offers a concise introduction to psychoanalytic film theory in jargon-free language and shows how this theory can be deployed to interpret Jean Renoir’s classic film. It traces the development of psychoanalytic film theory through its foundation in the thought of Sigmund Freud and Jacques Lacan through its contemporary manifestation in the work of theorists like Slavoj Žižek and Joan Copjec. This history will help students and scholars who are eager to learn more about this important area of film theory and bring the concepts of psychoanalytic film theory into practice through a detailed interpretation of the film. Todd McGowan teaches theory and film at the University of Vermont, USA. He is the author of The Fictional Christopher Nolan (2012), Out of Time: Desire in Atemporal Cinema (2011), The Impossible David Lynch (2007), The Real Gaze: Film Theory After Lacan (2007), and other books.